Greg Zizique’s unique style of pumping dance beats has seen him hold a successful residency at the South West’s former super club Dance Academy and for the heavyweight eye conic club brand Tranzaction. 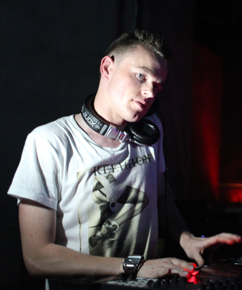 Playing in international cities such as Beijing, Anaheim, Fort Wayne, Berlin, Frankfurt, Katowice, Lódz, Szczecin, Lublin, Gdynia and Stockholm, whilst closer to home appearances in Northern Ireland, Bridgend, Cardiff, Cheltenham, Llandudno, London and Swansea, Greg is committed to electronic dance music. Greg has appeared alongside a vast spectrum of artists including Dave Pearce, N-Trance, Ultrabeat, Judge Jules, Richard Dinsdale, Adam Ficek, Mark EG, Flip n Fill, Just Jack, Adamski, Andy Whitby, Cally & Juice, Kutski and Darren Styles to name but a few. Continuing to always push the vibe he believes so passionately about, Greg has cemented a solid reputation for big room twisted dance beats, which has inevitably led to the studio and has produced several original music releases. Greg’s experience and adaptability as a dj brings with him the knowledge of not only how to warm up the dance floor, but also how to bring the big room peak time experience to the feet and ears of the clubbing fraternity for the next level. 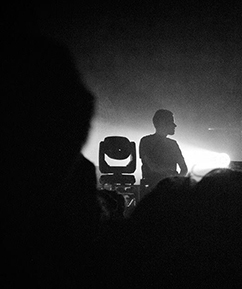 2018 was Greg’s twentieth year as an electronic music DJ. Physical space (artist provides): Traktor Scratch Pro 2, Traktor Kontrol X1 Mk2 and Native Instruments Machine Mk2.